Draft: 2006, Arizona Diamondbacks, 1st rd. Maxwell M. Scherzer...Native of Chesterfield, MO...Attended Parkway Central High School and the University of Missouri...Named the Big 12 Conference Pitcher of the Year as a sophomore at the University of Missouri in 2005 after going 9-4 with a 1.86 ERA in 16 starts...Pitched for Team USA in the Summer of 2005...Went 2-1 with a 2.70 ERA and 24 strikeouts in four outings...He and his wife, Erica, have one daughter, Brooklyn. Placed himself in consideration for yet another National League Cy Young Award...Finished second in the voting...Was named to his sixth consecutive All-Star Game...Started the game for the National League in his home park... Went 18-7 with a 2.53 ERA in 33 starts...He led Major League Baseball with 300 strikeouts and led National League pitchers in strikeouts per 9.0 IP (12.24), strikeout-to-walk ratio (5.88), WHIP (0.91), opp. AVG (.188), innings pitched (220.2), hits per 9.0 IP (6.12) and wins (T1st, 18)...Also ranked in the NL in opp. OBP (2nd, .247), ERA (3rd, 2.53) and opp. OPS (3rd, .580)...His 51 walks were his fewest since he walked 34 in 2015...Recorded his 1,000th strikeout with Washington on July 2 vs. Boston, becoming the 11th pitcher in MLB history to collect at least 1,000 strikeouts with two different clubs... Was named National League Pitcher of the Month in both April and May... In April, he went 5-1 with a 1.62 ERA (7 ER/39.0 IP) and 57 strikeouts and just nine walks...In three starts from April 9-20, he allowed just seven hits in 71 at-bats, yielding an opponent slash line of .099/.169/.183...He struck out 30 batters and issued just four walks during this stretch of games...On April 9 against Atlanta, he tossed his ninth career complete game (fifth career shutout) to end Washington's five-game losing streak... In May, he went 4-0 with a 2.21 ERA (10 ER/40.2 IP) and 63 strikeouts against just 10 walks...He led the NL in strikeouts (63) and strikeouts per 9.0 IP (13.9)...Recorded an MLB best nine-game winning streak from April 9 to June 5...In the month of April, he was called upon to help snap five-game (4/9 vs. ATL), three-game (4/14 vs. COL) and four-game (4/25 at SFG) losing streaks...He earned the victory in each start, pitching to a 1.64 ERA (4 ER/22.0 IP) with 31 strikeouts against just three walks...Did not earn the win, but struck out a season-high 15 batters on May 6 vs. Philadelphia... It was his fifth career 15+ strikeout game...On June 2 at Atlanta, as a pinch hitter he singled and scored from first base on a triple by Wilmer Difo to give the Nationals the lead in the 14th inning...He tossed a team-best 20.0 consecutive scoreless innings from Aug. 7 to Aug. 23... Recorded his 285th strikeout of the season on Sept. 20 vs. New York (NL) a then-new career-high and a then-Nationals (2005-pres.) record for most strikeouts in a season...He capped his season with his 300th strikeout on Sept. 25 vs. Miami (Dean)...For more on Scherzer's 300 strikeout-season, see the info box on the following page...Struck out at least 10 batters in 18 of his 33 starts...Struck out at least 10 batters in 10 of his first 15 starts and at least 10 in eight of his last 12 starts. In his third year in Washington, Scherzer - yet again - placed himself among the top pitchers in MLB and solidified his standing as one of the best in history with his third Cy Young Award...In doing so, he became the first pitcher to win his league's Cy Young Award in back-to-back seasons since Clayton Kershaw took home the honors in 2013 and 2014...Scherzer led the National league in a majority of the significant pitching categories (see info boxes that follow)...He went 16-6 with a 2.51 ERA in 31 starts...Was historically good in the season's first half...Went 10-5 with a 2.10 ERA in 18 starts prior to the All-Star break...Also posted a 0.78 WHIP...That was the fourth-best mark in MLB history (since 1913) among starting pitchers... From May 26 to June 21, he struck out at least 10 batters in six straight games...His six straight 10+ strikeout games was the longest streak in the NL this season, and in Nationals history (2005-pres. )...Was named to his fifth straight All Star Game...Started for the National League squad and tossed a dominant inning, coaxing a ground out from Jose Altuve, and striking out Aaron Judge and George Springer to strand Jose Ramirez...With 12.02 SO/9.0 IP for the season at 12.02, was just the fourth pitcher in MLB history to average as many as 12 SO/9.0 IP over a season of 200-plus innings: Randy Johnson did it six times (1995, 1997-2001), Pedro Martinez (1999) and Chris Sale (2017)...Scherzer (2nd, 2.51), along with Stephen Strasburg (3rd, 2.52) and Gio Gonzalez (5th, 2.96), helped the Nationals become the first team with three starting pitchers ranking in the top five in the National League in ERA in 21 years (since the 1996 Atlanta Braves), according to the Elias Sports Bureau ...Struck out a season-high 14 batters on June 6 at Los Angeles Dodgers (7.0 IP, 3 H, R, 2 BB, 14 SO)...Tossed 9.0 dominant innings on May 31 at SFG (9.0 IP, 5 H, ER, 11 SO)...Clubbed his first career home run on Aug. 1 at MIA (O'Grady)...Tossed 6.1 strong innings in Game 3 of the NLDS...Struck out seven batters, walked three while allowing just one hit and one run along the way...Did not earn the win as the Cubs pulled away, 2-1...Endured his first disabled list stint since 2009 when he was placed on the 10-day DL with left neck inflammation from Aug. 19-28. Put together an historic season en route to earning his second Cy Young Award...In doing so, he became the first player in Nationals history (2005-present) to take home baseball's top pitching honor and just the second in franchise history (Nationals/Expos), joining only Pedro Martinez (1997)... Scherzer led the National league in a majority of the significant pitching categories (see info boxes that follow)...He went 20-7 with a 2.96 ERA in a career-high 34 starts...He tallied a career-high and Nationals record (2005-pres.) 284 strikeouts...His season was highlighted by yet another historic performance, striking out 20 Detroit Tigers on May 11 to become just the fourth pitcher in MLB history to strike out 20 batters in a nine-inning game (see info box below)...Was named an All-Star for the fourth consecutive season...He was 10-3 with a 3.03 ERA in the season's first half, won at least 10 games before the All-Star break for the fourth consecutive season...Via the Elias Sports Bureau, over the last 20 years, only two other pitchers reached double digits in wins prior to the break in each of four consecutive seasons: Greg Maddux (1997-2001) and Roy Halladay (2005-11)...The NL's only 20-game winner capped his 2016 on an eight-game winning streak...Washington was 10-0 in those 10 starts (8-0, 3.34 ERA)...From June 1 through the end of the season, he went 15-3 with a 2.44 ERA...Struck out 194 batters, walked 34 and posted a 0.91 WHIP in this 23-game span (0.91 WHIP). In his first season with Washington, earned third consecutive All-Star selection, going 14-12 with a 2.79 ERA in 33 starts...The 33 starts matched a career high...Became the fifth pitcher in Major League history to throw two no-hitters in the same regular season with his magnificent performances on June 20 vs. PIT and Oct. 3 at NYM...They were the second and third no-hitters in Nationals history (See page 283 in History and Records section for detailed accounts)...Joined Johnny Vander Meer (1938), Allie Reynolds (1951), Virgil Trucks (1952) and Nolan Ryan (1973) as the only pitchers ever to throw two no-hitters in the same regular season, and you can add Roy Halladay (2010) to that list if you include the postseason...Career-high 17 strikeouts in no-hitter on October 3 at NYM set a Nationals single-game record...According to the Elias Sports Bureau, Scherzer's 17 strikeouts tied Nolan Ryan (vs. DET, 7/15/73) for the MLB record for strikeouts in a no-hitter...Is the first pitcher in MLB history to throw two no-hitters in the same season without walking a single batter in either outing...Is the first to throw no-hitters against two postseason-bound teams in the same season... Led Major League Baseball with a 7.62 strikeout-to-walk ratio...That number ranked 13th in MLB history (since 1914)...His career-high 276 strikeouts ranked second in MLB and broke RHP Stephen Strasburg's Nationals (2005-present) single-season mark of 242 in 2014 (see chart below)...Also ranked among MLB pitchers in opponent OBP (4th, .242) and WHIP (4th, 0.92)...Ranked in the NL in complete games (T1st, 4), shutouts (T1st, 3), strikeouts per nine innings (2nd, 10.9), innings pitched (3rd, 238.2), ERA (8th, 2.79), and opp. slugging percentage (11th, .358)... Earned back-toback National League Pitcher of the Month (May/June) and National League Player of the Week honors (June 15-21)...Tossed back-to-back complete games, June 14 at MIL and June 20 vs. PIT...Per Elias, is the fifth pitcher in the Modern Era to allow one hit or fewer in back-to-back complete games. In his final season with the Tigers, went 18-5 with a 3.15 ERA en route to his second consecutive All-Star selection...Ranked among American League pitchers in wins (T1st, 18), winning percentage (2nd, .783), strikeouts per nine innings (2nd, 10.29), strikeouts (3rd, 252), innings pitched (5th, 220.1 IP), quality starts (T8th, 22) and ERA (9th, 3.15)...2014 marked the second straight season in which he led the AL (or tied for the lead) in wins...Established new single-season career highs with 220.1 innings pitched and 252 strikeouts...His strikeout total ranks as the sixth-highest single-season total in Detroit club history...Finished the season with an 18-5 record, a 3.15 ERA and 252 strikeouts...According to the Elias Sports Bureau, this marked the second time in MLB history that a pitcher, in consecutive seasons: won at least 15 games, lost no more than five, and struck out 200 or more batters, joining Sandy Koufax in 1963 and 1964... Named one of six finalists for the 2014 Marvin Miller Man of the Year Award... Struck out at least seven batters in each of his first seven starts...Became the first player in Detroit history to do so and the first player in the majors to do so since San Francisco Giants Tim Lincecum in 2010... On July 12 at Chicago White Sox, making his 179th career start, threw his first career complete game (9.0 IP, 3 H, 3 BB, 8 K)...Earned the win in the 2014 All-Star Game...Struck out a season-high 14 batters on Aug. 14 vs. PIT...On Aug. 15, Max and his wife Erica hosted the inaugural "Motown Showdown" Charity Fantasy Football Draft Party...Scherzer and several teammates joined donors for a special draft day event including stadium tour, brunch, happy hour and opportunity to watch the Tigers take batting practice from the field...Proceeds from the event benefitted the Detroit Police Athletic League, the Detroit Zoo and the Detroit Tigers Foundation. Led the American League with 21 wins and was named the American League's Cy Young Award winner with the Tigers in 2013...Selected to the American League All-Star squad for the first time in his career -- elected to start the All-Star Game at New York's Citi Field...marked the 11th time a Tigers pitcher was elected to start the All-Star Game...Finished second in the American League with 240 strikeouts and 10.08 strikeouts per nine innings, while he was fifth with a 2.90 ERA and tied for fifth with 214.1 innings pitched...Fanned 240 batters during the season -- marked back-to-back seasons where he fanned 200-or-more batters...Struck out a season-high 12 batters on April 17 at Seattle --recorded 10-or-more strikeouts in eight outings this season...his eight such outings ranked second among all AL pitchers...Won each of his first 13 decisions to begin the season, becoming the first pitcher in franchise history to win his first 13 decisions to begin a season as a starter...Established a franchise record going 19 straight starts without a loss from September 23, 2012-July 8, 2013 -- bested the previous Tigers record held by Bobo Newsom, who did not suffer a loss in 18 straight starts from April 25-July 17, 1940...Fanned six-or-more batters in each of his first 18 outings to begin the season. The 18-game streak is the second-longest such streak in American League history, trailing only Pedro Martinez's 29-game streak to begin the 2000 season. (Source: Elias Sports Bureau)...Posted a 3-0 record, a 4.02 ERA (31.1IP/4ER) and 46 strikeouts in five starts during April...Named the Tigers Pitcher of the Month for May after going 4-0 with a 3.00 ERA (45.0IP/15ER) and 45 strikeouts in six starts during the month -- tied for second in the American League with four wins, while he was third with 45 strikeouts during that stretch...Named the American League Player of the Week for the Week ending June 24, 2013...Named the Tigers Pitcher of the Month for June after posting a 5-0 record, a 2.38 ERA (24.0IP/9ER) and 40 strikeouts in five starts during the month...Tossed a quality start in 10 consecutive outings from May 21-July 8 posting an 8-0 record, a 2.34 ERA (69.1IP/18ER) and 78 strikeouts during the stretch...Recorded the 1,000th strikeout of his major league career on August 8 at Cleveland...Finished 4-0 with a 2.50 ERA (29.2IP/11ER) and 37 strikeouts in six games during August -- tied for second in the American League with four wins, while he was fifth with a 2.50 ERA and tied for sixth in strikeouts...Pitched the 1,000th inning of his major league career on September 15 versus Kansas City, doing so with 71 wins and 1,045 strikeouts. According to Elias, the only other pitcher in major league history who accumulated both as many wins and as many strikeouts as Scherzer through his first 1,000 innings is Pedro Martinez (71 wins and 1,075 strikeouts)...Recorded his 20th win of the season on September 20 versus the Chicago White Sox...became the 24th player in Tigers history to record 20-or-more wins in a season, and the first since Justin Verlander won 24 games in 2011...Limited lefties to a .222 (100x450) average...righties hit .165 (52x316) against him...Finished 2-2 with a 2.90 ERA (31.0IP/10ER) and 39 strikeouts in five games during September...Posted a 12-1 record, a 3.55 ERA (104.0IP/41ER) and 111 strikeouts in 16 starts at home... led the American League in wins, while he was third with 111 strikeouts at home....compiled a 9-2 record, a 2.28 ERA (110.1IP/28ER) and 129 strikeouts in 16 games on the road this season...led the American League with 129 strikeouts on the road, while he finished second with a 2.28 ERA, and tied for second with nine wins...Compiled a 13-1 record and a 3.19 ERA (129.2IP/46ER) and 152 strikeouts in 19 starts prior to the All-Star break...finished 8-2 with a 2.44 ERA (84.2IP/23ER) and 88 strikeouts in 13 games after the break...Earned the win in Game One and Game Four of the 2012 American League Division Series versus Oakland...Established a new franchise record with 34 strikeouts during the 2013 postseason. Led the American League with 11.1 strikeouts per nine innings, while he finished second with 231 strikeouts and tiedfor sixth with 16 wins. ... Fanned 231 batters during the season -- marked the first time during his career he has fanned 200-or-more batters ina season. ... Struck out nine-or-more batters in 13 of his starts during the season -- topped all major league pitchers with 13 such outings...his 13 such games marked the most by a Tigers pitcher since Mickey Lolich posted 15 games with nine-ormorestrikeouts in 1971. ... Fanned 11 batters on April 13 at Chicago's U.S. Cellular Field against the White Sox -- posted a double-digit strikeouttotal in three more starts during the season: May 20 versus Pittsburgh (15 strikeouts), June 17 versus Colorado (12strikeouts) and August 15 at Minnesota (10 strikeouts). ... Allowed a career-high seven walks on April 29 at New York's Yankee Stadium -- did not issue a walk in his next starton May 5 versus the Chicago White Sox to become the first Tigers pitcher to not allow a walk in the outingimmediately following issuing seven-or-more walks since Milt Wilcox did so in 1984...Wilcox issued seven walks on July4 at Chicago before not walking a batter in his next start on July 14 at Minnesota. ... Established a career high with 15 strikeouts on May 20 versus Pittsburgh -- all 15 of his strikeouts came on swingingstrikes...according to the Elias Sports Bureau, he was the first major league pitcher with 15 swinging strikeouts sinceMinnesota's Johan Santana posted 15 such strikeouts on August 19, 2007 against the Rangers. ... Finished 4-0 with a 4.04 ERA (35.2IP/16ER) and 51 strikeouts in six starts during May -- according to the Elias SportsBureau, it marked only the fourth time a Tigers pitcher posted an unbeaten record with at least four wins and 50strikeouts during a calendar month...he joined Jack Morris (August of 1983) and Justin Verlander (May of 2009 andJune of 2011) in accomplishing the feat...led the American League with 51 strikeouts during May, while he tied for thelead with four wins. ... Missed his scheduled start on July 3 versus Minnesota due to soreness in his left hamstring. ... Struck out at least eight batters in 10 consecutive starts July 19-September 7 -- marked the longest such streak ofoutings by a Tigers pitcher since at least 1918. ... Won five straight starts August 10-September 1, compiling a 1.03 ERA (35.0IP/4ER) and 44 strikeouts -- according tothe Elias Sports Bureau, he became the first pitcher in club history to win five straight starts while averaging more thanone strikeout per inning and not allowing more than two runs during any of the starts. ... Registered a quality start in seven straight outings August 10-September 12 -- posted a 6-0 record, 1.29 ERA(49.0IP/7ER) and 60 strikeouts during the seven-start stretch. ... Matched a career high with a six-game winning streak August 10-September 12. ... Tabbed the Tigers Pitcher of the Month for August after compiling a 4-0 record, 2.25 ERA (32.0IP/8ER) and 44strikeouts in five starts during the month -- tied for the lead in the American League with four wins during August, whilehe tied for second with 44 strikeouts and was seventh with a 2.25 ERA. ... Finished 2-1 with a 2.17 ERA (29.0IP/7ER) and 33 strikeouts in five starts during September -- fourth in the AmericanLeague with a 2.17 ERA during the month. ... Compiled a 7-3 record and 3.51 ERA (82.0IP/32ER) in 14 starts at home...finished 9-4 with a 3.92 ERA (105.2IP/46ER)in 18 starts on the road. ... Posted an 8-2 record, 2.69 ERA (90.1IP/27ER) and 110 strikeouts in 15 starts following the all-star break...finished8-5 with a 4.72 ERA (97.1IP/51ER) and 121 strikeouts in 17 starts prior to the all-star break. ... Limited righthanded hitters to a .201 batting average (66x329)...lefties batted .292 (113x387) with him on the mound. ... Fanned 10 batters in Game Four of the American League Championship Series on October 18 versus the New YorkYankees -- became the sixth Tigers pitcher to strike out 10-or-more batters during a post-season game in club history. Completed his second season with the Tigers in 2011, establishing a career best with 15 wins...Tied for ninth in the American League with a .625 winning percentage...Earned the win in his first six decisions of the season April 3-May 9, establishing a career-best winning streak -- marked the most consecutive wins to begin the season by a Tigers pitcher since Jeremy Bonderman won his first eight decisions of the 2007 season...Compiled a 16.0-inning scoreless streak over a three-start stretch April 18-29...Tabbed the Tigers Pitcher of the Month for March/April after compiling a 4-0 record, 3.82 ERA (37.2IP/12ER) and 37 strikeouts in six starts -- tied for third in the American League with four wins during that stretch, while he finished sixth with 37 strikeouts...Posted a 2-2 record and 2.14 ERA (33.2IP/8ER) over a five-start stretch July 7-August 2...Fanned a season-high 10 batters on August 13 at Baltimore...Made the 100th start of his major league career on September 21 at Kansas City...Tied for ninth in the American League with 32 strikeouts during September...Held righthanded hitters to a .262 batting average (90x343)...lefties hit .281 (117x417) against him...Opponents hit .188 (29x154) with runners in scoring position against him, fourth best in the American League...Posted an 8-4 record and 3.80 ERA (109.0IP/46ER) in 18 starts at home...finished 7-5 with a 5.23 ERA (86.0IP/50ER) in 15 starts on the road...Compiled a 10-4 record and 4.69 ERA (111.1IP/58ER) in 19 starts prior to the all-star break...finished 5-5 with a 4.09 ERA (83.2IP/38ER) in 14 starts following the all-star break. Completed his first season with the Tigers in 2010, establishing a career high with 12 wins and 184 strikeouts --according to the Elias Sports Bureau, he became just the third pitcher in franchise history to compile at least 12 winsand 180 strikeouts in his first season with the club to join "Wild Bill" Donovan in 1903 (17-16, 187 SO) and JoeColeman in 1971 (20-9, 236 SO) in accomplishing the feat ... Sixth among American League pitchers with 8.5 strikeouts per nine innings ... Optioned to Triple A Toledo by the Tigers on May 15 -- made two starts with the Mud Hens before he was recalled forthe remainder of the season by the Tigers on May 30 ... Compiled an 11-7 record, 2.46 ERA (153.2IP/42ER) and 158 strikeouts in 23 starts over the remainder of the seasonwith the Tigers after being recalled from Toledo on May 30 -- second among American League pitchers with a 2.46 ERAduring that stretch, while he was fourth with 158 strikeouts ... Fanned a career-high 14 batters on May 30 to earn the win over Oakland as he held the club scoreless in 5.2 inningsof work -- according to the Elias Sports Bureau, he became the first pitcher in major league history with as many as 14strikeouts in a game while pitching fewer than six innings ... Established a career high with a four-game winning streak June 15-July 7 -- compiled a 1.60 ERA (33.2IP/6ER) and 38strikeouts during the five-start stretch ... Registered a quality start in seven straight outings July 31-September 1 -- finished 3-1 with a 1.25 ERA (50.1IP/7ER)during the stretch ... Selected the Tigers Pitcher of the Month for July after posting a 3-2 record, 2.31 ERA (39.0IP/10ER) and 36 strikeoutsin six starts -- tied for fourth in the American League with 36 strikeouts during the month, while he finished seventh witha 2.31 ERA and tied for seventh with three wins ... Fourth in the American League with a 1.29 ERA (35.0IP/5ER) in five starts during August as he was tabbed the TigersPitcher of the Month -- compiled a 3-1 record and 31 strikeouts during the month ... Struck out 11 batters as he earned the win on September 17 at Chicago's U.S. Cellular Field against the White Sox ... Limited lefthanded batters to a .239 batting average (90x376)...righties hit .250 (84x336) against him ... Compiled an 8-4 record and 2.99 ERA (96.1IP/32ER) in 15 starts at home...finished 4-7 with a 3.99 ERA (99.1IP/44ER)in 16 starts on the road ... Posted a 6-6 record and 4.61 ERA (93.2IP/48ER) in 16 outings prior the all-star break...finished 6-5 with a 2.47 ERA(102.0IP/28ER) in 15 starts following the all-star break. Finished eighth in the National League with 9.19 strikeouts per nine innings as he completed his first full season at themajor league level with the Arizona Diamondbacks in 2009...Began the season on the disabled list with a right shoulder strain -- assigned to Single A Visalia for one start as part ofan injury rehabilitation assignment on April 9 before he was reinstated from the disabled list by Arizona on April 14...Earned his first major league win on May 16 at Atlanta, tossing six shutout innings...Fanned a season-high 10 batters in back-to-back starts May 21 at Florida and May 26 versus San Diego...Tied for eighth in the National League with 37 strikeouts during May...Compiled a three-game winning streak June 11-23, posting a 1.83 ERA (19.2IP/4ER)...Finished 3-1 with a 2.17 ERA (29.0IP/7ER) in five starts during June -- sixth in the National League with a 2.17 ERAduring the month...Tied for fourth in the National League with 39 strikeouts during August...Limited righthanded batters to a .239 batting average (73x306)...lefties hit .265 (93x351) against him...Finished 5-6 with a 3.64 ERA (96.1IP/39ER) in 17 starts prior to the all-star break...posted a 4-5 record and 4.74 ERA(74.0IP/39ER) in 13 starts following the all-star break. Went winless with an 0-4 record despite compiling a 3.05 ERA in 16 games, including 7starts, during his rookie Major League campaign...honored by the Arizona chapter ofthe Baseball Writers Association of America as the D-backs' Rookie of the Year...Went 0-4 with a 3.41 ERA (14 ER in 37.0 IP) with 14 walks and 48 strikeouts in his 7starts...Arizona's offense produced just 2.43 runs in his starts (10 runs over 37.0 IP),the lowest among D-backs starters...had a 2.37 ERA (5 ER in 19.0 IP) and held opposingbatters to a .172 average (11-for-64) with 18 strikeouts and 7 walks in 9 reliefappearances...Opened the season with Tucson (AAA) and did not allow an earned run in his first 3starts for the Sidewinders...posted a 1.17 ERA (3 ER in 23.0 IP) with 38 strikeouts andonly 3 walks in his first 4 starts...Recalled on April 27 and made his Major League debut on April 29 vs. Houston, strikingout 7 in 4.1 innings of hitless relief to set a D-backs' record for most strikeouts bya pitcher in his debut...it was the longest debut outing in modern Major League history(dating back to 1900) by a pitcher who retired every batter he faced...his 7 strikeouts fell1 short of the modern record by a relief pitcher making his MLB debut (Barry Jonesstruck out 8 on April 20, 1986 with Pittsburgh at Wrigley Field)...the 7 strikeouts werethe most for a pitcher making his big league debut for the D-backs, eclipsing the 6 thatMicah Owings fanned on April 6, 2007 in a starting role at Washington...Moved into the starting rotation and suffered the loss vs. Philadelphia on May 5 in hisfirst career start after allowing 5 runs on 8 hits over 4.0 innings...Posted a 3.86 ERA (5 ER in 11.2 IP) in 6 relief appearances from May 23-June11 before he was optioned back to Tucson on June 13... made an appearance forthe Sidewinders before landing on the disabled list with right shoulder inflammationfrom June 20-July 19...Earned his first win for Tucson on Aug. 11 vs. Tacoma...overall, was 1-1 with a 2.72ERA (16 ER in 53.0 IP) with 22 walks and 79 strikeouts in 13 games (10 starts) for theSidewinders...held opposing batters to a .182 average (35-for-192)...Recalled on Aug. 29 and threw 3.0 scoreless innings in 2 relief outings before beinginserted back into the starting rotation for the remainder of the season...Struck out a career-high 11 batters on Sept. 7 at Los Angeles Dodgers, tying him withthe Dodgers' Hiroki Kuroda, Washington's John Lannan and Toronto's David Purceyfor the most strikeouts by a rookie in 2008...it also tied him with Brandon Webb formost single game strikeouts by a D-backs rookie in franchise history (Aug. 19, 2003 vs.Cincinnati and Aug. 31, 2003 vs. San Francisco)...With the D-backs, held opposing batters to a .234 average (48-for-205) and opposingright-handed hitters to a .167 mark (19-for-114)...did not allow any of his 5 inheritedrunners to score...Went 1-0 with a 3.38 ERA (9 ER in 24.0 IP) in 4 games for Phoenix in the Arizona FallLeague, walking 5 and striknig out 24. Made his professional debut on June 7 with Visalia (A), allowing a run off 2 hits with 8 strikeouts over 5.0 innings in the start against Bakersfield...Won back-to-back starts on June 12 & 17, combining for 12.0 shutout innings with 22 strikeouts...Struck out a season-high 13 on June 12 in the win at San Jose, tossing 7.0 hitless innings...Promoted to Mobile (AA) on June 22 and made his debut for the BayBears that evening, allowing 3 earned runs off 5 hits over 5.0 innings in the loss to Montgomery...In August, he was 1-1 with a 3.26 ERA (11 ER in 30.1 IP) while striking out 34...Hit .357 (5-for-14) with 2 doubles and a RBI for Mobile...Struck out 10.5 batters per 9-innings between Visalia and Mobile (106 K in 90.2 IP)...Started 3 games for Fort Worth in the Independent League from May 12-23 before signing with the D-backs on May 30...Appeared in 8 games for the Scottsdale Scorpions in the Arizona Fall League, going 1-1 with a 2.13 ERA (3 ER in 12.2 IP) with 18 strikeouts. August 28, 2017 Washington Nationals activated RHP Max Scherzer from the 10-day injured list. August 18, 2017 Washington Nationals placed RHP Max Scherzer on the 10-day disabled list retroactive to August 15, 2017. Neck inflammation. January 21, 2015 Washington Nationals signed free agent RHP Max Scherzer. 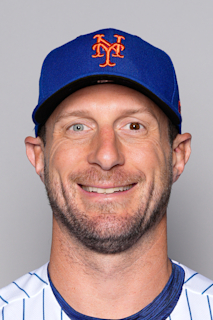 October 30, 2014 RHP Max Scherzer elected free agency. May 30, 2010 Detroit Tigers recalled RHP Max Scherzer from Toledo Mud Hens. May 16, 2010 Detroit Tigers optioned Max Scherzer to Toledo Mud Hens. April 14, 2009 Max Scherzer roster status changed by Arizona Diamondbacks. April 9, 2009 Arizona Diamondbacks sent RHP Max Scherzer on a rehab assignment to Visalia Rawhide. April 5, 2009 Arizona Diamondbacks placed RHP Max Scherzer on the 15-day disabled list retroactive to March 29, 2009.